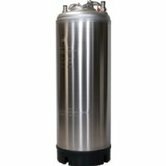 Pressure tested 5 gallon, stainless steel cornelius style ball lock keg (includes pressure relief valve on lid). These tanks are guaranteed to hold pressure. 25" tall and 8.5" diameter. Tanks will show normal wear and tear. Kegs include the o-rings and poppets that were installed when we received the tanks. 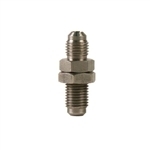 1/4" MFL to 1/4" MFL Bulkhead Adapter Great for extending a run of hose without replacing the whole thing. Gray, gas in quick disconnect with male flare fitting. The easiest way to carbonate beer. This is a Cornelius keg lid with built-in carbonation stone. Move the lid from keg to keg to carbonate as needed. Allows you to force carbonate quickly using the attached .5micron stone with the portability of being able to move the lid from keg to keg. No more hassles of trying to attach and unattach line from the"gas in" dip tube. Simply connect your gas quick disconnect to the included fitting on the lid and allow carbonation to begin. 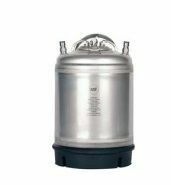 The carbonating keg lid provides the quickest and easiest means of force carbonating kegs and begin serving beer swiftly. Simply connect a 24" length of beverage tubing to the built in dip tube and a 0.5 micron carbonation stone (tubing and carbonation stone sold separately) to the opposite end of the beverage tubing. Measurs 8.5" Diameter and 14.75" Tall. Why deal with the hassles of old worn out kegs when you can have a brand new one at a reasonable price. Brand New AMYCL 5 gallon Stainless Steel Kegs. NSF approved for all beverage use. Certified 304 Stainless Steel. NSF Approved for all Beverage uses. ISO 9000. 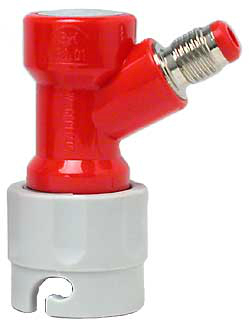 Manual pull-ring relief valve that also automatically vents at 130PSI. Stainless Steel strap style carry handle for extended handle life. Rubber base reduces wear and tear on floors. Sanitary welds. Serial Numbers on each part. 25" Tall X 8.5" Wide. Answer: They are certified to be a safe, reliable, quality product. There are many kegs on the market. Only certified models are reliable food grade choices. Do not risk your beer! If it is not stamped. It is not NSF approved. Universal kit for both ball and pin lock kegs. Complete with lid ring, 2 dip tube rings and 2 post rings. When purchasing used kegs it is always a good idea to replace all the O-rings as they can harbour flavors and bacteria. 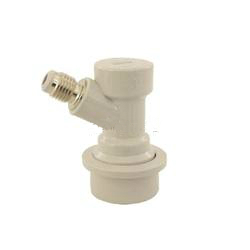 New Relief valve for Cornelius, Firestone or Spartanburg Challenger V, Vi and Super Challenger. A easy fix for leaks, simply unscrew your old poppet and compare to the picture if it is plastic and looks the same it is this one. 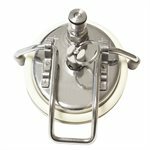 This is a new stainless steel universal replacement lid for home brew / soda kegs. 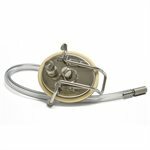 Brand new lid comes with pressure release valve with sturdy 1" metal ring to relieve pressure out of your keg. 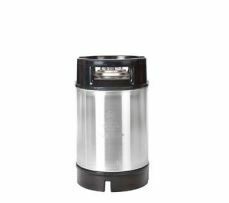 Dimensions: 3 3/4" x 4 3/8"
Cornelius Pin Lock Keg - Used, No Pressure Relief - Always great to have two or more styles dispensing at once! Beer is all about variety. Or have one serving, while another is carbonating! 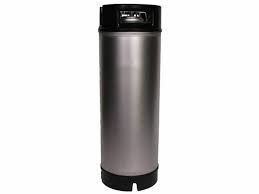 These are used, 5 gallon stainless steel Pin Lock (Coke) Cornelius kegs. Great for dispensing home homebrewed beer, soda, or cider. For any sanitary liquid storage and dispensing needs. 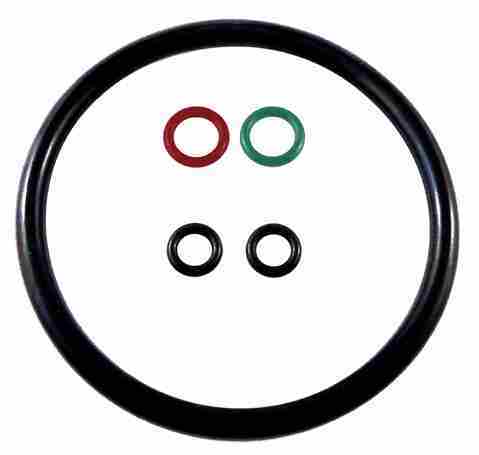 They include all fittings: dip tubes, poppets, gaskets and lid but we recommend you replace the seals. 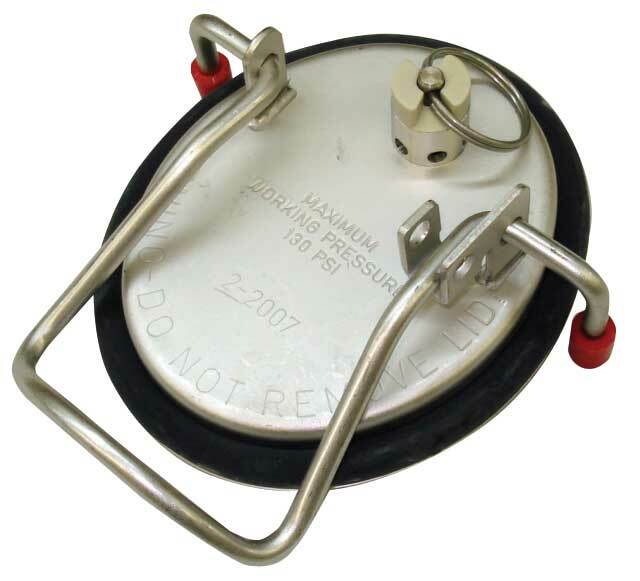 The lid is a hansen-style lid (no manual pressure relief pull-ring valve), although pressure can still be released by pressing down with a pointy object. 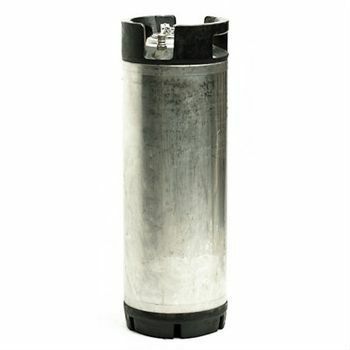 We ensure the kegs hold pressure, however, these kegs are used and require a good cleaning and sanitizing before use. With used kegs, they can be approximately 30 years old, so expect some normal wear and tear. Dimensions: 22-24" Tall, 9" Wide.